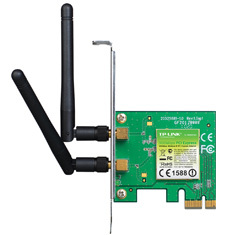 The TP-Link TL-WN881ND 300Mbps Wireless N adapter offers a convenient, easy to setup solution for connecting to your home network's wireless router. Complies with IEEE 802.11n to provide wireless speeds of up to 300Mbps making this an ideal solution for online gaming or HD video streaming. Backed by a 3 year warranty.